and we have no hesitation recommending it. Thank you for putting SOLD on our ad. Your site did help a lot, we had many many calls from people who saw it on your site!! I have sold my property. Thank you for everything. I look forward to the next one. We have sold our cottage this spring! Ad 1022. Your site brought us many calls and in the end it has sold. Please delete our ad and thanks for your help. Thanks for your help – your site generated a lot of traffic for us and definitely helped us with our sale. Our property has now sold. Thank you for all your help. You can take it off the listing or mark it sold. Just wanted to inform you that our cottage (1014) has been sold. Thank you. Your site worked great. After being on the market for a full year with two different real estate agents and receiving no offers through them, we received tons of attention and a solid offer with your web site. Thanks again. The add was very helpful. It generated the first lead just after it was posted in the spring and they wound up being the eventual buyer. I would like to let you know that our cottage has finally sold. Please remove add #895. Even though we were advertising on 3 different sites, I was very impressed about how much traffic we got from your site. The site was a great asset in selling our cottage! Thank you for all your help and have a great summer. Great Site…easy to use…thank you. “Our online advertising campaign with Cottage Ontario was the best marketing money we spent! Our cottage property development is “Sold Out” and most of the hundreds of leads we received came from Cottageontario.com. We saved thousands of dollars by side-stepping traditional real estate sales methods. Monique responded to our needs immediately–even on holidays, providing an excellent customer service experience. Please remove our ad #844 from the site. Cedar Crest Cottage on Beaver Lake has been sold. We were extremely pleased with the visibility our property received as a result of listing on your site. It brought a lot of traffic to our webpage and eventually a buyer. We wouldn’t hesitate to recommend your service. Please remove my add : Year Round Viceroy Cottage Located On Fairholme Lake, East On Hwy 124 & Roughly 28 Kms From Parry Sound. It has sold. Thanks for your help. We received two offers, 98% of the asking price and no real estate fees. Gotta like that! My cabin sold last week Ad #444. Your site is my first choice every time, it has been for many years now. I get solid inquiries every time. Thank you both very much. I look forward doing business with you again in the near future. I wanted to let you know that our cottage (#672) has been sold! Thank you for your help. The buyer found us through your site!! You can put a SOLD sign on this property! Thank you very much for your excellent website. We had many hits and inquiries. I’m just writing to let you know that based only on the service your firm has provided me, that the house has SOLD. (I did not advertise or list anywhere else). Your service will be highly recommended by me to others. You may now removed the add from your site. Thank you so much for everything ! We sold with a buyer from the ad, very steady interest…. Please list as sold. Thanks! I think you may have already taken the listing off for our cottage but I thought I would make sure. We sold it because of the listing on your site. Thank you very much! As I emailed you I have sold my cottage in less than 7 days from the date of listing. I had listed the property with agents with absolutely no success. It was a total waist of time. I had 27 phone calls and 6 people came to see it. I also had contacts from U.K wanted to buy it for investment. purposes. The fifth day I had a firm offer with 30 days closing. I am a firm believer this is the way to sale or buy property. Thank you for your assistance along the way and keep up the excellent performance. Listed and within a week had 7 calls. Sold within same time frame, without hassle or any problems. Thanks again, and it saved me thousands in real estate commissions! Could you please mark our ad #467 as SOLD. I have to say that using your web-site was terrific. It generated lots of looks which sent people to the web-site that we made to describe our property in detail and I guess it’s been just 2 months and it’s gone. You can now list our cottage as Sold. Our add was number 385. Thank you for the help. We had many calls about the cottage because of the add we placed with your web site but in the end it was word of mouth in our small town that sold the cottage. I will be sure to recommend your site to others who are looking for a place to advertise. Thanks again! Just to let you know that the cottage on Wabikoba lake #343 is sold as of June 19th 2008. Thank you, your site did it! I just wanted to let you know that our trailer has sold. Ad number 299 can now be listed as SOLD. And I have Cottage Ontario Ad website to thank. Our buyer, plus a number of other inquiries where first interested after seeing the ad on this website. Thank you. I am pleased to let you know that I won’t be bothering you with anymore changes to the ad as it appears to have sold. I would like to thank you for your help and would certainly recommend your website to anyone looking to either buy or sell. It was a good experience as people called and asked about our place. Cottage Ontario Staff was always pleasant and most accommodating when I called. They were very efficient with getting the ad online and offered great suggestions on how to improve it. Thank you Cottage Ontario. Could you please list our cottage as ” SOLD”. I would like to take this opportunity to thank you as your web site has provided us the avenue make this sale happen! Almost 2200 hits, tons of inquires! First class! I will not hesitate to recommend you in the future! Apparently my ad is still up. The cottage sold a few years ago and I cannot see how to remove my ad. And, a big thank you, the cottage sold through your ad. I am happy to post this. We have lined up 3 potential buyers to see our place in the Spring. They all sound very interested. The last person who called was from Sudbury and he called about 2 hours ago. Without your site, none of this would have happened. We love your site. Have a great winter too and Happy Holidays! I will contact you when the ice starts to thaw up north. Take care and stay warm. The person that bought was through word of mouth but certainly the ad made people aware it was for sale and 3 people did look at it from the ad. Your site is good and if I was looking would have gone there. Thanks. The property sold, so you can remove ad 1157. Thank you so much for your help, your website is awesome, I will recommend it. Wanted to let you know that we sold our cottage! So you can remove the ad. Thank you very much for your help with our advertising. We are so glad we were able to sell it without the help of a real estate agent. We never even put up a sign on the property. Had a lot of people inquire and view the cottage. Good work. PS. Have already recommended your site to people and will continue. I’m emailing to inform you that cottage number 987 has been sold. I want to thank you for helping me sell it. This is the second one I sold because of your website. I will promote your site to people I know. You can put in the sold column. Cottage # 1030 has been sold as of Oct 15. You can take the ad down now. Your website was proven to be very effective. I would recommend it to others for sure. I have now sold this Island! Thank You for your help Monique. Could you please de-list ad #689 “Otter lake cottage”. It has been sold. Your site directed the buyers to me. I had a real estate agent deal with the buyer in the end. We have sold our cottage last weekend, it is closing November 1st. It’s been a long haul; it does hurt! We have had the place for 40 years this year; it’s TIME! I have to tell you, the best inquiries came from your web site! Thank you! I want to let you know that I have sold the island on Whitewater in Azilda. I want to Thank You for the advertising. I had a lot of calls and viewings. I will use and recommend your site again. You can put a SOLD sign on our island! #598. Thank you very much for your excellent website. We had many hits and inquiries. Our cottage at 290 Saugeen Beach Rd in Gobles Grove has sold. Thanks for helping us, once again, sell our property. Cottage 815 is sold…actually to another of your happy customers….I see their place sold too. Ad # 709, Year Round Cottage/Home on Granite Lake in Temagami, ON is sold. The buyer saw the ad. on your site. Huge thank you. We will be posting our other cottage. Talk soon. I found Cottage Ontario Ad to be very professional and helpful. I received a number of responses, more than the other ad agency and Real Estate people. One of the responses turned into a sale, so I’m happy. The amount of money I paid to Cottage Ontario was peanuts compared to what the lazy Real Estate people wanted. Happy Customer. Please remove #740 from your site. We have sold our Muskoka cabin, thanks to the listing on your web site. We will definitely go this route again. Thanks for offering this service at an affordable price. The exclusive listing we used with you paid off and you can mark it SOLD, from an inquiry started on this site. With so many inquiries we had our pick of a buyer. Thanks again for creating this great marketing tool. Please mark #609 as Sold and purge from the site. My buyer saw the ad on your site. Thank you and have a Great Day. Your internet advertisement worked very well. Thanks a lot. Please remove #575 from your web page. Could you please move our listing over to the SOLD section. listing # 576. Website worked great, we had tons of response and a bunch of offers. I am the purchaser of property 554 that recently closed. I read Peter’s note to you and wanted to add to the testimonial. We have purchased 4 residential properties over the past 10 years using agents and found the process to be very uninformative and adversarial. This property we have just purchased was our dream recreational home and was solidly built and loved over the years. The information we received by dealing directly with the seller was invaluable and likely would not have been conveyed to us had we dealt through an agent. Purchasing privately sometimes frightens people into thinking that details get missed, this is mistaken. My building inspector confirmed the dwelling structure and our lawyers handled the offer details, title searches, surveys etc. What we gained is introductions to neighbors, samples of all paint and stain colors, maintenance schedules, a dock installation demo, and pages of contact info for all recent maintenance contractors including pricing. This process has been very enjoyable for us and I would recommend this process to anyone looking to purchase a recreational property. Our cottage just sold through your website. It can be removed from the site. It is #413 – Gobles Grove – Port Elgin. Thank-you so much for your website. My property has sold (#402- $229, 900). Can you please mark it as SOLD. Thanks a bunch. We got more hits from your website than when we had an agent and without it we would not have found our buyers. Thanks again! Thank you for the Great service. Our house is Sold. Please mark our ad as such. We have sold our cottage on Tyson Lake add #259, I would like to thank you for your help, and if we are ever selling again we would certainly look forward to dealing with you. Please remove ad # 255 as my cottage has officially been sold. The response was phenomenal with over 4500 hits. I would recommend your site to anyone who wants to get their listing seen by prospective buyers from both Canada and the USA. Thanks for all your help. I sold my cottage thanks to your site and your ad. I strongly endorse this site to place a cottage for Sale. Great people who are always ready to help out. Your web site has proved very useful. We’ve sold Ad #201, Waterfront property in Westmeath! Please remove the ad or mark it SOLD – whatever your procedure. Thank you. We’ll recommend your web site. We are pleased to say that the lot in Sesekinika has sold so could you please mark it as sold. Thank you we had many calls and e-mails, your site is the best. Just to let you know that our cottage on Bear Lake, Noelville has now been sold and the transaction was completed on April 28, 2006. Please cancel our listing for this property because we are getting many phone calls. Thanks again for the great service you provide to cottage buyers and sellers. Regards. Great news, the cottage sold in less than 2 weeks! Please remove our listing and thank you very much for your help and quick turn around. I’ll most certainly use your service again if needed and will recommend it to others. Please mark our ad # 1120 as SOLD. It took some time to get there but your website got the job done. We have had very good results from your website and we have now sold 3 properties off of it. Thanks for all your help over the years. WHOOPEE!! for us!! We sold our cottage! We’re delighted! It’s been a long, long haul. And Monique, you were always more than helpful – and we had more interest and viewings from your ad. than the agent. Thanks so much. And it was so nice meeting you! We appreciate all you’ve done – it’s been 5 years!! Thanks so much. Now our ad. can say “SOLD”!! Thanks for everything, your site sold our cottage! Could you please remove our listing 5 short months later? We are listing #1107. We are pleased to advise you that our cottage, #747, has been SOLD and can be removed from your website. The buyer saw our ad on your website, so many thanks for helping sell it. It was definitely worth posting it with you. You can mark my cottage sold. A gentleman saw my ad on Saturday, viewed the cottage on Tuesday and I accepted an offer today. Thank you so much. 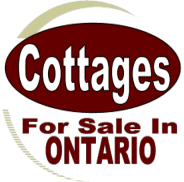 Thanks to you and Cottages for sale in Ontario we have sold our property. Please remove ad # 557. Please remove our ad number 393 as the cottage has been sold through your site!. We felt that we had a lot of inquiries due to the exposure on your site and would highly recommend this site to anyone looking to sell. Please change the status of ad 911 to sold. The new owners have taken possession today. We ended up with 2 offers at roughly the same time from your site. Thanks again for your service. Just to let you know that our cottage is sold . It was number 905. We also had it on the feature add. And thanks again and we are passing along your web site to our friends. Although a local person ended up buying the house, almost all the interest generated in the house was from your site. Many people inquired and several went to Hornepayne to see it. Thank you for the valuable service Monique. I just SOLD my cottage/double wide mobile home through your site. The new owners saw it on-line from out of country! Please remove #789 from the listings. Thanks so much and I would certainly recommend your service again. Can you please change our listing, (Ad Number 773), to SOLD Thank you for your service. It helped us a lot! We sold our Moira Lake cottage that was advertised by your site and Kijiji. We got more than 50 responses, three quarters of which were based on your site. Thank you! Would you removed our add (# 799) cottage has been sold (today). We appreciate your service, wonderful web site, very useful. Our cottage sold (I believe it is add #697). You can remove our add. It actually sold thanks to advertising on your site (it also was on Kijiji). Thank you for you help. This is notification that we have sold both lots under Listing # 670. The 1st lot was sold by a real estate agent who is a relative and had the lot listed with his company. The 2nd just had the waivers signed today and closes soon, this lot sold as a result of the ad we placed with you. You have a great site to view as well as a site that produces results. Thanks Monique. We sold our cottage through your website! Closing date was yesterday so I would appreciate if you could please mark #617 “sold” as soon as you can. Thanks very much!! Please remove my ad from the site. I have sold the cottage with many thanks to your site. I had many inquiries and was able to make the sale from your site. Please remove my cottage listing #585, the cottage is sold. I received my first call less than three hours after listing on your site and that person bought the cottage. It is obvious that your site is watched by persons in the market for a cottage. Just wanted to thank you for your help. My home has sold & I have been so very pleased with the response from your ad. Again thank you, the whole process was so much easier with your help. Sold my cottage thanks to you guys – please de-list my ad and thanks a million. This is to inform you that our cottage on Papakomeka Lake has sold. The closing date was today. Our ad number was #378. Could you please mark it as sold? Also, we would like to thank you for this marvelous website. We had many hits, as well as many phone calls from many places in Ontario and also Calgary and Vancouver. A young fellow from Timmins bought it. He loves it just as much as we did. We will definitely recommend your website to anyone who is buying or selling a cottage. Well, our cottage is sold (the deal just closed). Our ad #357 on your cottageontario.com site resulted in many inquiries, including one that ultimately led to the sale. Please mark the ad as SOLD! Your website has been fantastic, we have had lots of inquiries directly from the ad. Please mark all lots as SOLD, and then remove it as appropriate. I like to cancel the add for our Trailer, we sold and will close on the 29th of April. Thank you very much for your service, it is a great website to place a cottage or trailer for sale, just wonderful. If I need your business again I will be in touch thanks a lot. Good news, we have sold our trailer- so would you please remove add number 245 from your sales listings today. If we have need of your services again we will use and if not will highly recommend your site. Thanks again! Please list my cottage as “sold.” I had an offer four days after I listed the cottage, and it turned out to be the one that worked. Oddly, though, the man who bought it had neither seen nor heard of your site. Perhaps even more oddly, the man lived right around the corner from me in Barrie, but I did not know him, and he heard about the cottage almost by accident. As for response to the ad, I did have numerous inquiries from people who had seen the ad, including one (just after I concluded the deal for my sale) who promised “cash in the bank in one week,” sight unseen (must have had good pictures). Many thanks for your help, because I now know that a lot of people look at the site. I have other property in northern Ontario; if I decide to sell some, I’ll be back. Just to let you that I have sold my cottage on Lake Nipissing. Would you please indicate it as Sold on your website. Thank you for this service that you provide, I have had a good number of inquiries. I would not hesitate to recommend your site to family and friends. The sale of the subject cottage was finalized on Jan 13th, 2006. Would you please indicate it as “SOLD” on your website. I had many inquiries about this cottage….Most if not all through your website listings. It works very well. Thanks very much. Just a note to thank you for the great exposure of my cottage on you web page. It was sold this week at a good price. The ID number is 777 so it can be deleted from your list. Thanks again for the excellent exposure of my cottage on your web page. Can you delete our ad as the property has now sold. Thanks for your service as it attracted lots of interest. Can you please remove my ad # 1113 from your website as my cottage sold last Friday. I did have a call last night from a lady in Manitoba looking for a place in Ontario. She must have seen it on your site so it does work. Thanks for your help! We would like to cancel our ad #1081 for Whitefish as we did sell it. Thank you, that’s two properties we have sold through you now. We have another property that we would like to list with you. We sold this property one day after posting. The Facebook link is what caught the Buyer first. Thank you very much for a great posting. We just wanted to let you know that our cottage ad #655 has been sold. Thanks for all your help. Great site. We always had a” great “response from your site, with more sincere buyers , when the deal was coming down , we had two full price offers . We also had the Log Cabin listed on Kijiji for the same period of time, but truly we got nothing but tire kickers . I have recommended your site to others , and will continue to do so. Can you please list my cottage as sold. Your website was very helpful. Our property was actually sold through your website. We SOLD our place AD#945 – Please mark it as SOLD!! This is the second property we sell through your site, thank you so much for your help. We highly recommend you and your services. Thanks again! Just wanted to let you know that we have sold our cottage/home on Lowell Lake. We want too thank you for the posting you put on your site, although we sold the cottage with people off the hwy sign, we had several people call or visit from your sight. Again thank you, and the best on your site. We have sold the property and would like you to mark our listing SOLD. Thanks for all your help. I will keep your website as a favorite and would refer your site to buyers & sellers. Our cottage has been sold, ad #845. The purchaser saw the ad on your site. Thank you. We were amazed how quickly it sold. I think people looking at your site are seriously in the market as vs the tire kickers. Thanks for your help. Our buyer saw the ad on your site. Good Website & well done. Thanks much! Thank you very much for the great service, we sold our trailer in Stokes Bay add number 742, you can remove it now, we had great response and still getting response! We highly recommend your service!! Just to let you know the above property has been sold and closed on Sept 9th this year. Your site brought a lot of interest..and inquiries but we ended up listing with RE-MAX. The person who bought was solicited from your site and contacted us directly..but we had to go thru the agent. We did save 1% on Commission. Please take the necessary action to remove us from your site or post SOLD…Thanks again!! Please mark #599 as sold. We had a great response to the ad and would definitely recommend you web site. We sold our camp #644 so please take it off the listing! You and your web sites are awesome!!! Thanks !!!!!! Just wanted to let you know the camp on Agnew lake, #615, has sold. What a great response we received. The ad went on line Friday, we got the call to view on Saturday, they came to view camp on Monday and made an offer we accepted. Thank you. Would definitely recommend your web site to anyone selling a camp in Ontario. You can move the ad over to SOLD!!! Thank you again. Thank you so much Monique. You have been great. We have sold our property at the price that was asked. We had to give them time to get the finances they needed so left the lot on your site for sale in case. By doing that we were able to help another friend on the same lake sell theirs when they had to move to New Brunswick. I sent e-mails to the people that had contacted us and one of them bought the other lot. Your website has been great to us and I want to thank all the people that contacted us. Again many many thanks. I sold my cottage last Friday, so please take it off the listing. Thank you very much. I had lots of contacts as a result of listing on your site. All the best. The camp has been sold… less than a week! The number of hits was incredible for the short amount of time it was advertised. Your service is fantastic, it was invaluable to us given our need. Easy to see that those looking for cottage properties have come to rely on this site… a testament to the management of the site. We got calls from as far away as BC. Thank you so much for this great service. I am writing to let you know that my land is sold, your site did it. Thank you very much. Thanks to your great site my camp in now sold to a gentleman from Barrie, Ont. I had numerous inquires. It’s a great site and I have passed on the word to friends and family. You can put add #348 as SOLD. FYI – I had an inquiry from the following site trying to steal your add. They must be going around to sites like yours and soliciting customers. Once again great site and well worth the investment. Please change our ad to SOLD. We have had excellent results from your web site. Thanks very much. Good news…..I sold the trailer over the weekend. Thanks for all your help. Your site is excellent and I’ve referred several of my friends to post with you as well. As a matter of fact, I think I’m going to be sending you another one to post sometime next week on behalf of a friend of mine. Just wanted to let you know that the sale of my property on lake Nepewassi was finalized on Friday. It was unbelievable how many hits were made on my site as well as the inquiries received both by phone and internet. I had inquiries from all over but the most were local. The most distant was from an important business man from Texas. I had two calls the day it first came on and was bought by the second caller, a 23 year old from Sudbury. I am so glad that I was able to find this web site and I thank you so much for providing this excellent service. Just wanted to thank you so much for your amazing site. We received tons of calls and e-mails! Please list the cottage as sold and thanks again! I am writing to let you know that our Cottage on Rice Lake near Hastings has been sold, thanks to you. We had a terrific response from your web site and I would recommend the site at any time. It was sold for 96% of asking price. Thank-you Again!